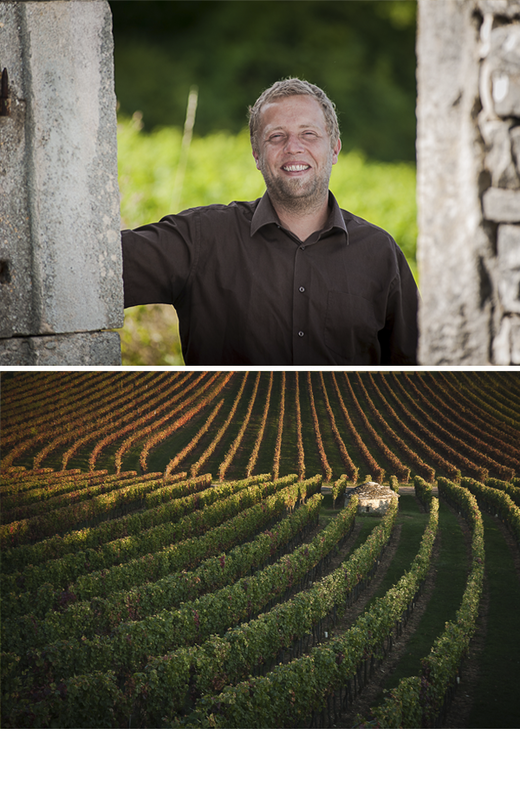 A passionate and successful former musician, Julien Cruchandeau has been in complete tune with his vineyards in the tiny village of Chaux, in the Hautes-Côtes de Nuits above Nuits-Saint-Georges, since 2010. From a tiny cellar packed with barrels under his home, Cruchandeau offers wonderful wines in an area of Burgundy once known for high volume and lower quality. His natural practices and hands-off style create true Burgundy Pinot Noirs and Chardonnays that are aromatic, bright, fresh and pretty, and clearly express a sense of place. Taking a cue from their young, exciting maker, these wines are fun, pleasing and easy to drink. A rising star in the region, Cruchandeau offers high-level quality at entry-level prices. Martine’s Wines is the exclusive importer for Julien Cruchandeau in all of the United States.